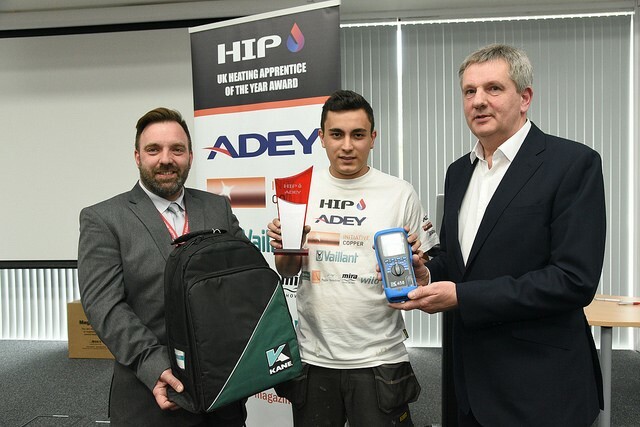 For winning this prestigious competition Anthony received £1,000 in cash and a Magna Cleanse kit with a hose bag from Platinum sponsor ADEY, whilst his college got £1,000 in cash too. In addition, Anthony also received a KANE458 Essential Kit worth over £800 exc.VAT. We are delighted to be able to support this award and wish Anthony all the very best in his future career.